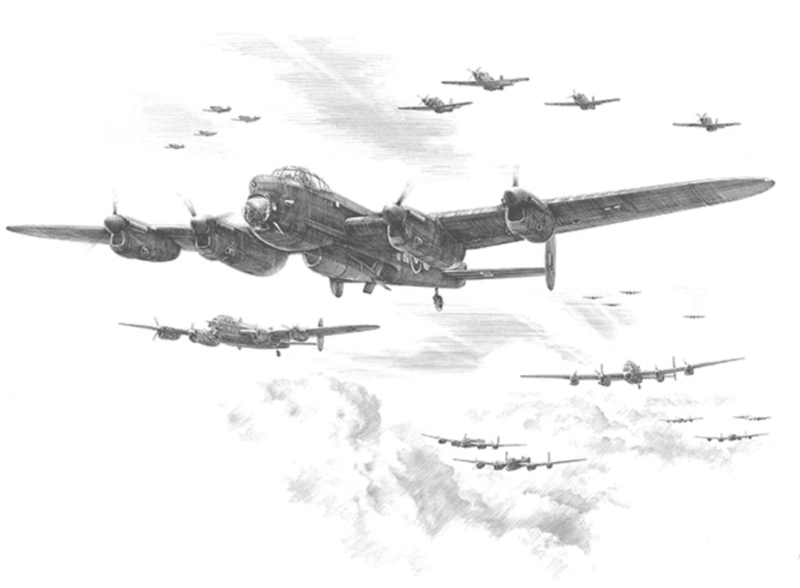 Squadron Leader Calder of 617 flying Lancaster `YZS` en route to attack the Bielefeld Viaduct on the 14th March 1945. The other Lancasters carried Tallboy bombs but Calder’s was equipped with the 22000lb Grand Slam ‘earthquake’ bomb, the first time it was used operationally. Top cover was provided by RAF Mustangs in this daylight raid which proved a complete success with no less than ten arches of the viaduct being destroyed.